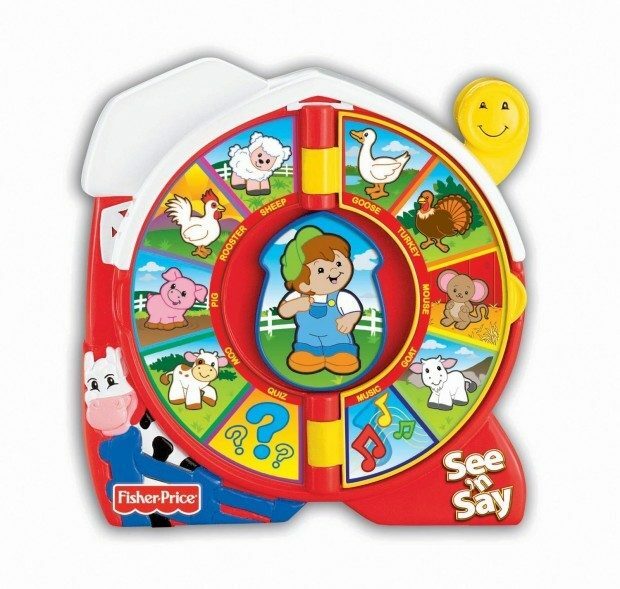 Head over to Amazon to order a Fisher-Price See ‘n Say The Farmer Says Toy Just $11.90! (reg. $15). Get FREE shipping on orders of $35+ or if you have Prime! This classic learning toy is better than ever! Shaped like a barn, it teaches kids fun facts about 16 different animals. To start the learning fun, just select a page and then turn the arrow to select an animal and pull the lever to hear the Farmer speak. There is also a quiz mode for more learning fun. It’s a great way to learn words and animals, too! Plays “Old MacDonald” and “Farmer in the Dell” melodies!